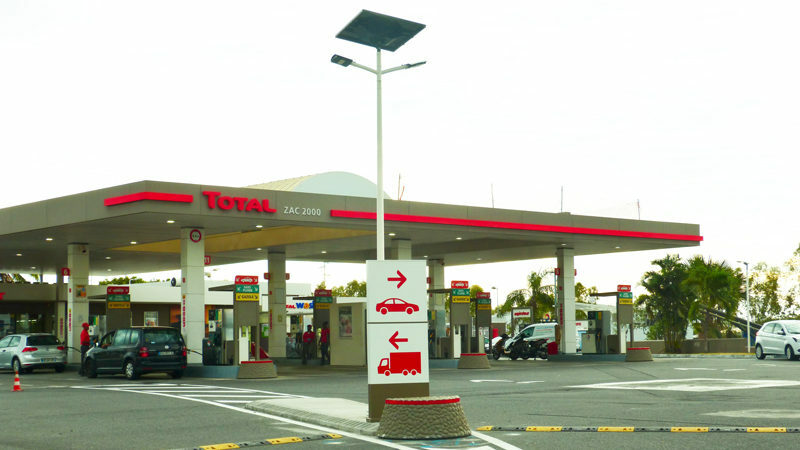 In Reunion, a fuel station, located in a retail park in the town of Le Port, now has a powerful solar streetlight to ensure the safety of customers. The splitter island at the entrance that directs trucks to the left and cars to the right is now lit by a Fonroche solar solution. Part of our Smartlight range, it features a dual crosspiece and its powder-coated pole is designed to withstand high wind loads. This solar solution provides the station with guaranteed lighting 365 nights a year. One of the many benefits of Fonroche solar streetlights is their ease of installation. 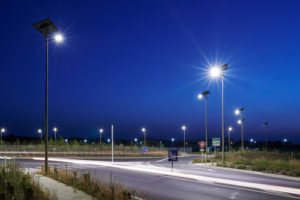 Completely off-grid, there’s no extensive groundwork, grid connection or cabling — a simple block of concrete is all that’s needed for a PV streetlight to be erected. This is typically completed in just two hours. Plus, there are no operating costs, no account needed and no tests to be carried out. Lighting is provided from the first night. Like Marie-Galante Island in the West Indies, Réunion is committed to being completely energy independent by 2030. 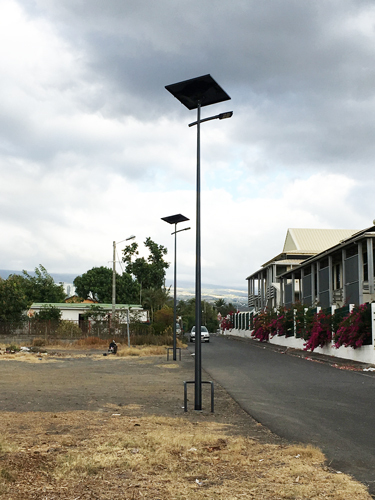 The town of Saint-Paul on the west side of Réunion has had solar streetlights installed in a street where household waste was being dumped illegally. Public solar lighting is now deterring residents from such antisocial behavior, which undermines the island’s sustainable development credentials. As well as producing electricity by recycling sugarcane waste, Réunion is looking to solar power, which is the quickest and easiest way forward. Due to the weather conditions on the island, which can be extreme, Réunion needs strong, durable solutions. Our Smartlight off-grid streetlights are designed to withstand extreme temperatures (–40°C to +70°C) and high wind loads (EN40 compliant).